New Lower Cost David Clark Headsets – No Adapter Required | Magnum Electronics, Inc.
David Clark Company, a recognized leader in noise-attenuating headsets, has quietly introduced their new two-way “Radio Direct” models. The direct wire 6200 series is a dual muff behind-the-head style for use with headgear and includes a boom microphone. Available for the most popular radio models, the headsets are priced lower because the costly adapter cable is eliminated. Each headset includes a 6 foot extended coiled cable with the radio connector of your choice. The David Clark 6700 series adds the FM Approved intrinsically-safe (IS) rating for use in hazardous atmospheres. The headset must be used with a radio (and battery) that also carries the FM Approved label for it to be a benefit. The 6700 series is also behind-the head design and includes the radio connector of your choice. 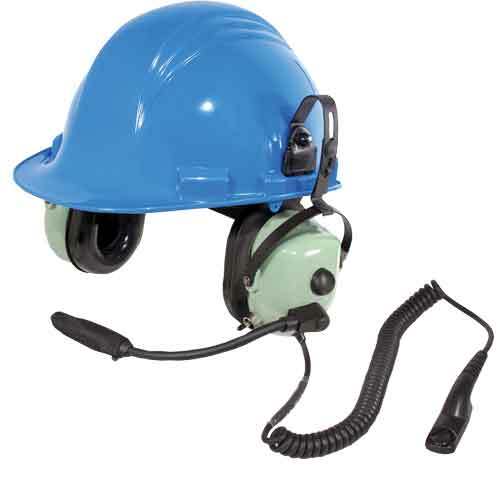 There is also a hardhat attachment model (H6780-51) with the popular Motorola APX 7000/6000 and MOTOTRBO XPR 6000/7000 radio connector. It has clips that attach to hardhats and other protective headgear. The David Clark Modular headsets require the purchase of removable coiled cords with the appropriate radio connector. These are a good choice if you have different radio model models or plan to upgrade to a new radio in the future. 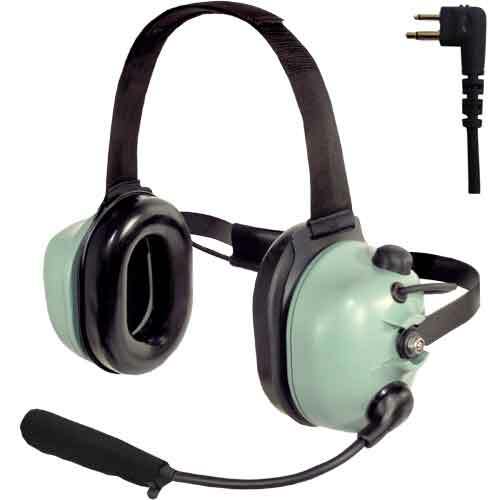 There are also additional headset styles for different noise environments. There are four styles of 6200 modular series headsets available. The shielded microphone H6220-M is designed for extreme noise environments. The H6230-M over-the-head model is used without head gear. The H6240-M is the most popular and can be used with or without a helmet. For single ear operation, the H6290-M is the solution. Currently, Series 6200 modular cords are available for the Motorola APX 7000/6000 and MOTOTRBO XPR 6000/7000 (C6251 40918G-09), XTS 5000/2500/1500 (C6208 40918G-06), HT750/1250/1550 (C6235 40918G-07), and CP200/PR400 (C6207 40918G-08). There is also a cord for the Bendix King BK/Relm DPH, GPH, and EPV style models (C6245 40918G-15). The 6700 Modular Series are FM Approved Intrinsically-safe rated and also have interchangeable coiled cords. There is a hardhat attachment model along with 3 other popular styles designed to fit most rugged applications. FM Approved IS 6700 series cords are available for Motorola, Harris, and Icom radios. This entry was posted in APX Radios, MOTOTRBO, New Products, Portable Radios, Public Safety and tagged 2-way radio, APX, David Clark, firefighters, Headset, military, police by magnumelectronics. Bookmark the permalink.